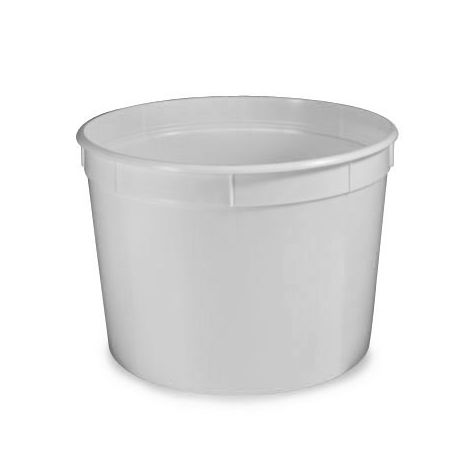 This popular line of containers feature tight-sealing leak-resistant snap-on caps and are ideal for long-term storage. 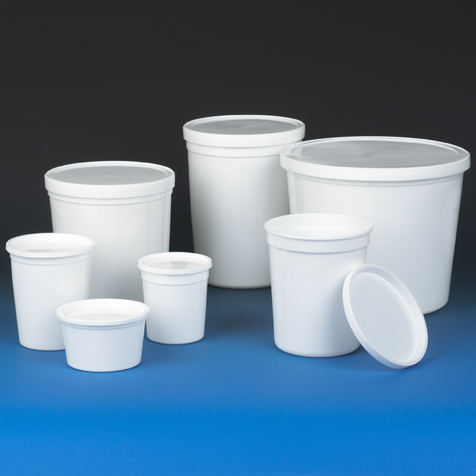 The containers have flat lids and are stackable. 8oz. (240mL) = 3-3/4" x 2-1/4"
16oz. (480mL) = 4" x 3"
32oz. 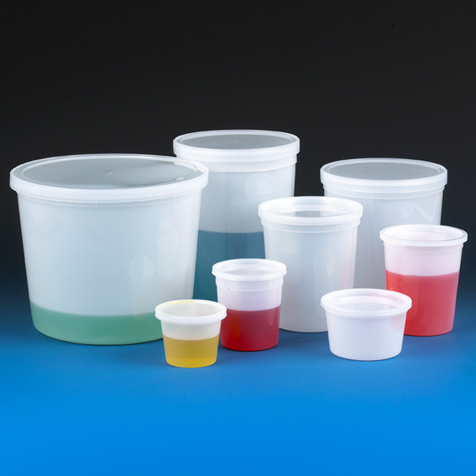 (1000mL) = 4-1/2" x 4-3/4"
64oz. (2000mL) = 6-1/2" x 5"
86oz. (2500mL) = 6" x 7"
172oz. (5000mL) = 8-1/4" x 7"
190oz. (5700mL) = 8-1/4" x 7-1/2"